CEO of Optima Group Keith Hammond, welcomed former Managing Director of Fellows International Limited Mick Fellows MBE. DSC. BEM*, on a visit to the new Fellows office in Gosport, Hampshire on 20th February. Following Optima’s acquisition of Fellows in December 2016, the company has significantly expanded therefore Andy Ward MIExpE (Fellows General Manager and former Royal Navy Mine Clearance Diving Officer) invited Mick, and former Royal Navy Warrant Officer Diver and Fellows Operations Director Colin Kidman QGM, to visit the Fellows Team in Gosport to update them on the success of 2017. The day was hosted by the Fellows Team whom were joined by Founder and CEO of Optima Group Keith Hammond. Former Royal Navy Clearance Diver Mick Fellows founded Fellows International Limited in 1994. The company was one of the first commercial UXO risk management companies in the UK to offer both land and offshore services to locations in the UK and internationally. During the Falklands conflict, Mick successfully mitigated the risk of an Unexploded Bomb (UXB)- the first to be dealt with during this time. Mick was a Fleet Chief Petty Officer (Diver) serving on Fleet Clearance Diving Team No1 (FCDT-1). On 21st May, the team was tasked to deal with an unexploded 1000lb bomb on the Royal Navy destroyer HMS Antrim. The bomb was damaged and lodged close to the Seaslug missile magazine therefore the state of the fuze could not be determined. The safest way to mitigate risk was to remove the bomb and lower it over the side of the ship into the sea. The operation was carried out during continued air attacks and took over ten hours to complete. Mick led on this task and for his courage and leadership he was awarded the Distinguished Service Cross (DSC). Mick retired from the Royal Navy in 1990 after 35 years’ service. 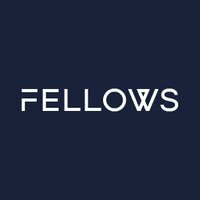 Fellows prides itself on its long maritime heritage and continues an unrivalled level of expertise in the field with Andy at the helm as General Manager and Jason Webb MIExpE (a former Royal Navy Petty Officer Clearance Diver) as Operations Manager. Fellows has progressed significantly since joining Optima Group and they are exhibiting for the first time under new management at Oceanology in March taking place 13th-15th March at ExCeL London. Email info@fellowsint.com to book a meeting.